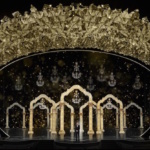 While much of the buzz surrounding the Academy Awards centers on the winners and the red carpet, there’s one thing all eyes are sure to be on: the stage. 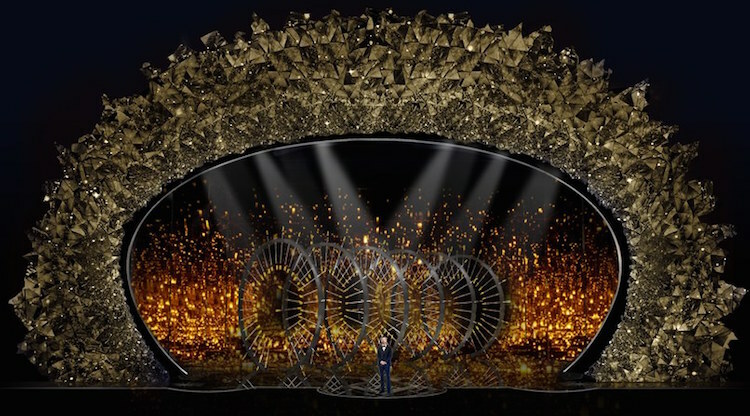 And that’s why the Academy has gone all out this year, with a maximalist fantasy of a set design to honor the awards’ 90th anniversary, which takes place on Sunday, March 4. 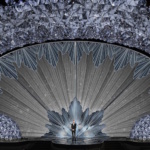 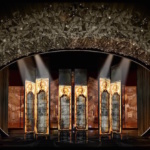 The crystal confection is the brainchild of Derek McLane, a Tony and Emmy award–winning scenic designer who incorporated a whopping 45 million Swarovski crystals into the design. 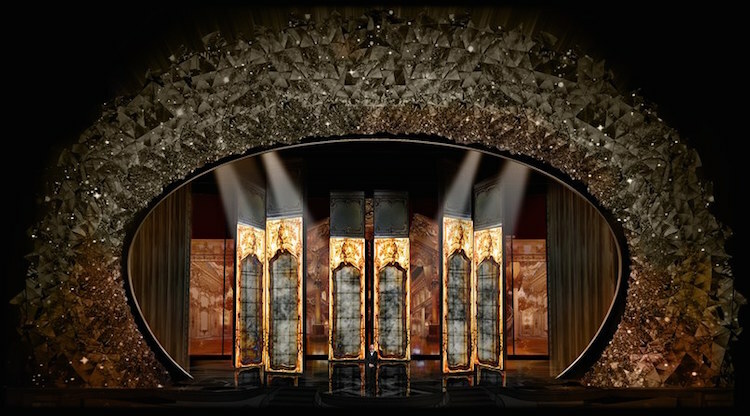 This is McLane’s sixth time designing Hollywood’s most-watched stage, and it’s his most ambitious–and abstract—yet. 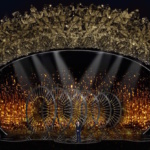 The centerpiece of the design is a crystalline proscenium, made of octagonal tiles blending crystal, metal, and mirror, while the stage itself is a dynamic design that will shift throughout the event, thanks to a combination of physical and digital effects. 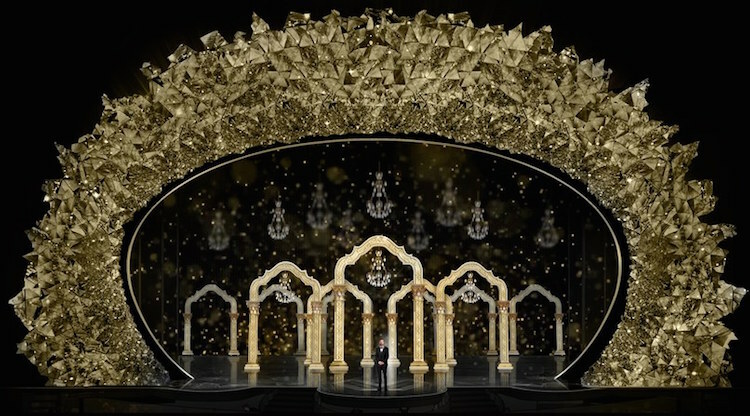 And, fittingly for the Oscars‘ 90th anniversary, the stage design pulls inspiration from a wide range of references from throughout film history, from classic Hollywood Regency design to Art Deco. 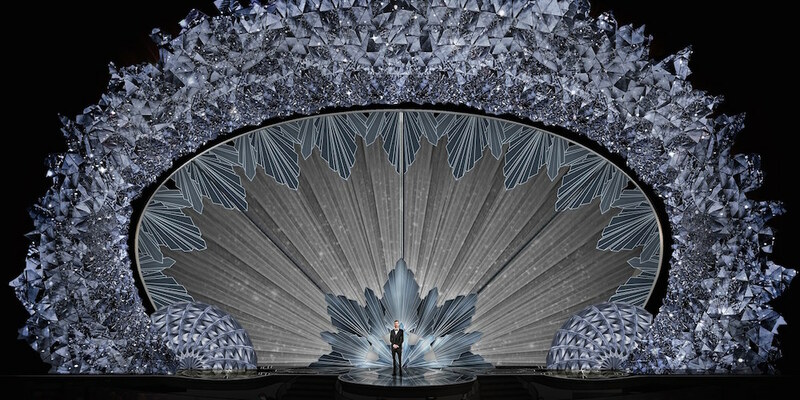 It’s too soon to call it, but the stage might just be the night’s best dressed.